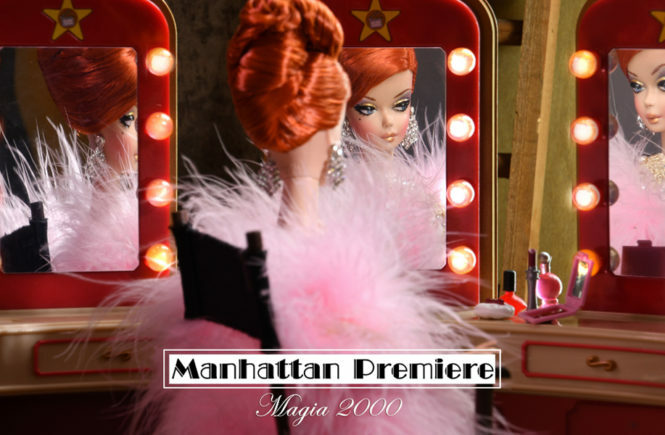 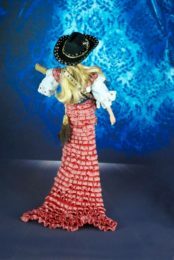 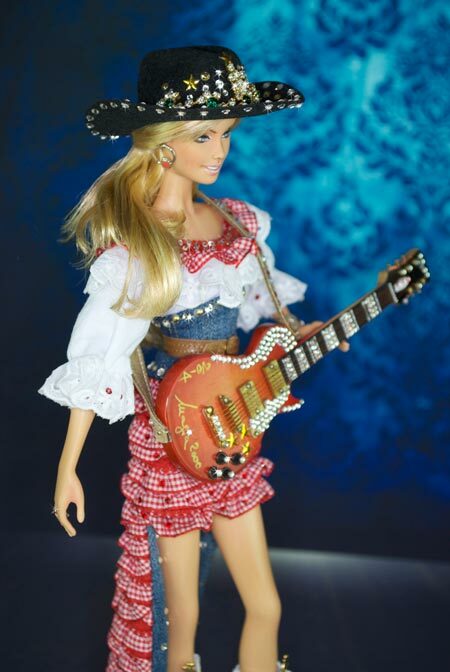 Magia 2000 want to turn the typical country costumes into the doll size world. 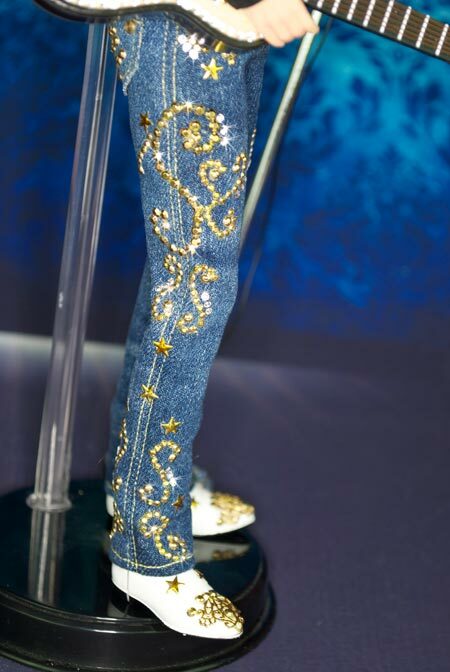 The male singer wears a blue denim jeans with a handbeaded golden studs motif, tight legs and white boots with golden metal friezes, black crepe satin shirt with hand-sewn golden fringes and hand-beaded pearl, embedded light blue crystals and golden studs. 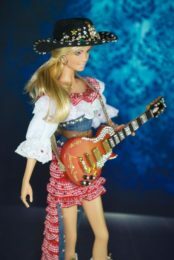 The female singer wears white cotton shirt with wide sleeves, cotton lace trims and stretch red squared cotton trim, which cover the long train skirt. Skirt is in blue denim and enriched with cotton ruches trim and real Swarovski red crystals. 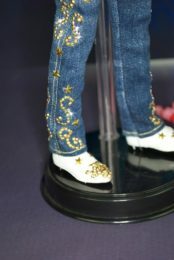 Boots has been enriched with golden metal freizes and several crystals. 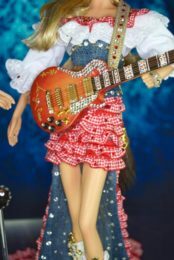 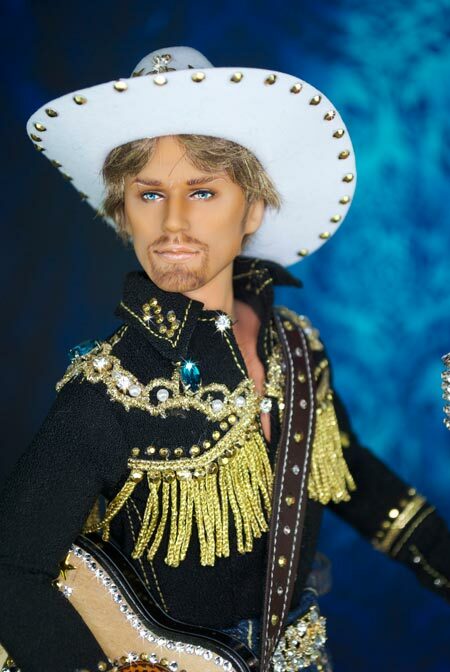 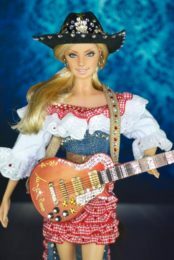 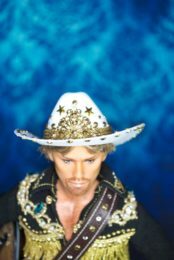 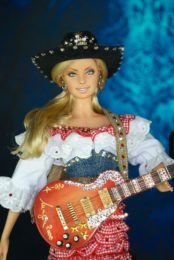 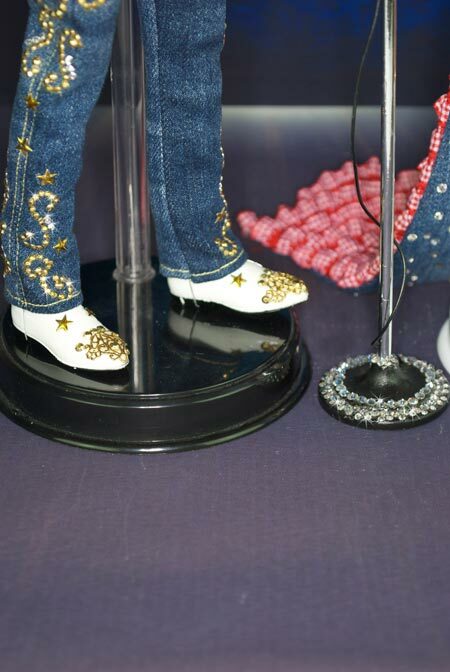 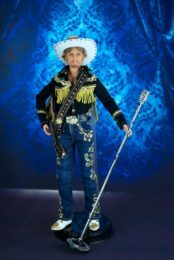 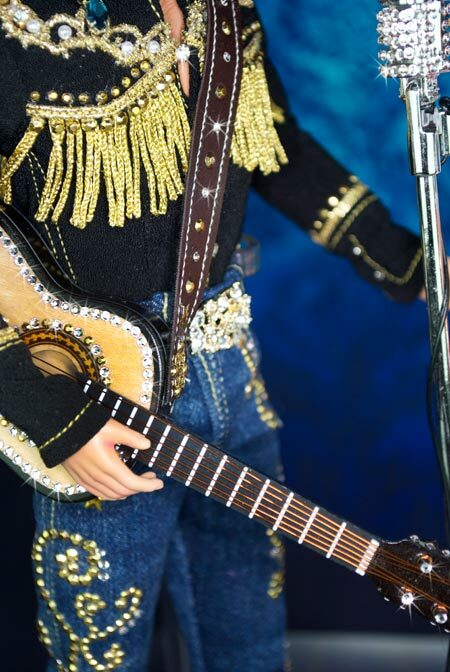 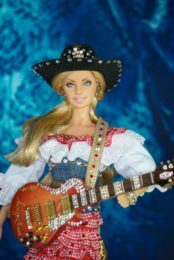 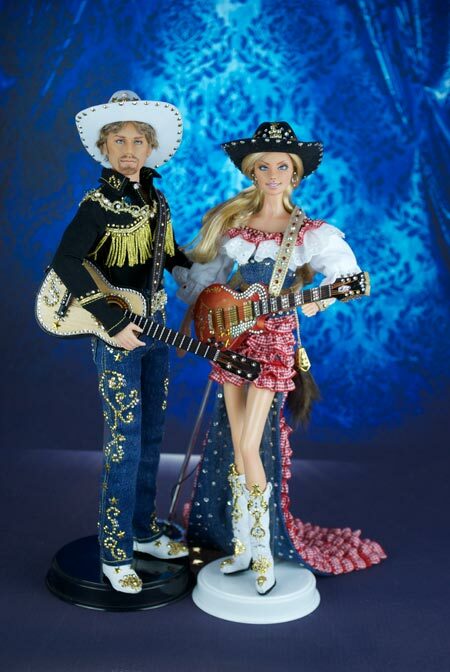 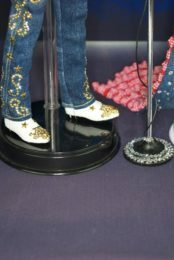 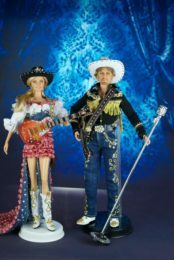 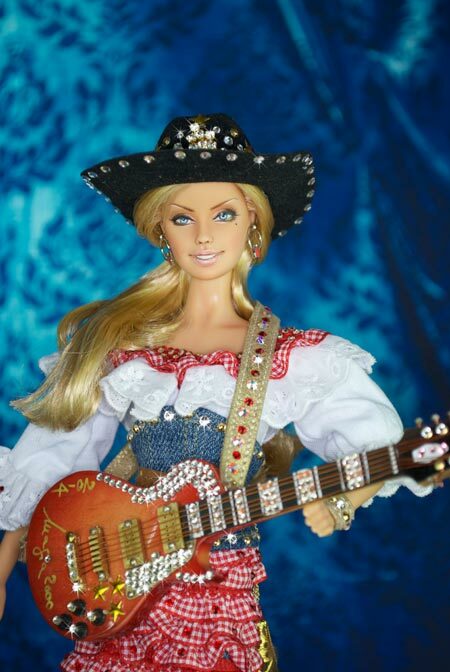 Both cowboy’s hats, guitars and microphones are hand customized with real Swarovski crystals, studs and jewels. They both received a complete facial repaint and and customization. 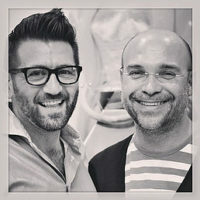 All accessories and costumes are handcrafted or customized by Mario and Gianni. 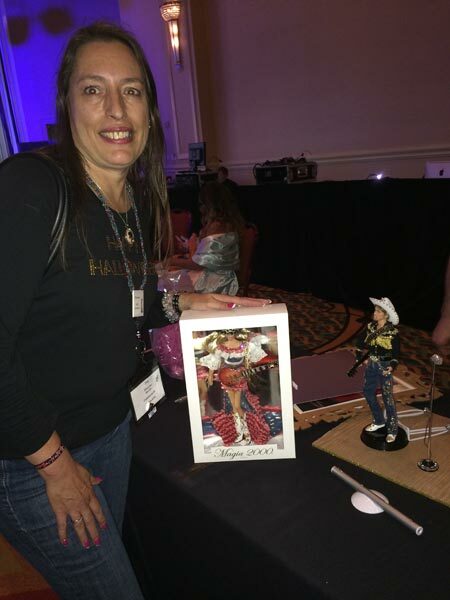 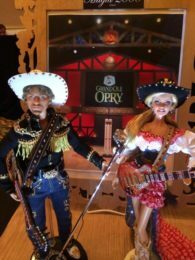 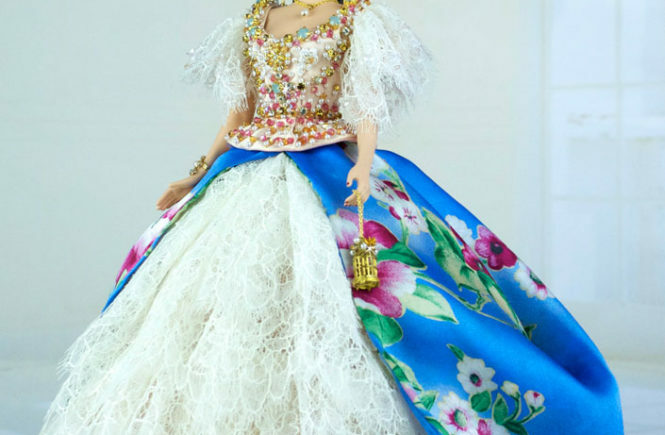 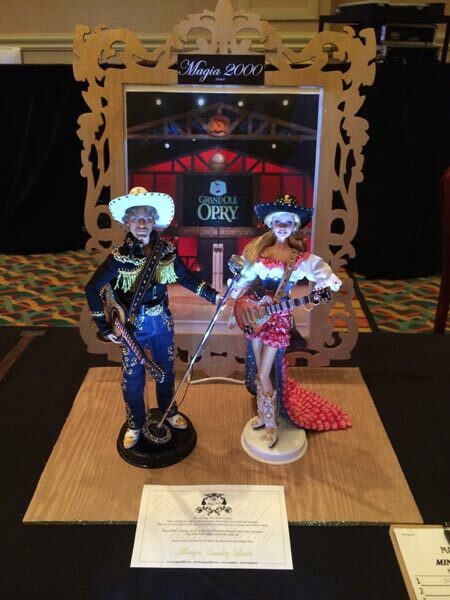 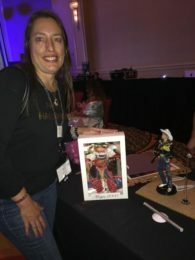 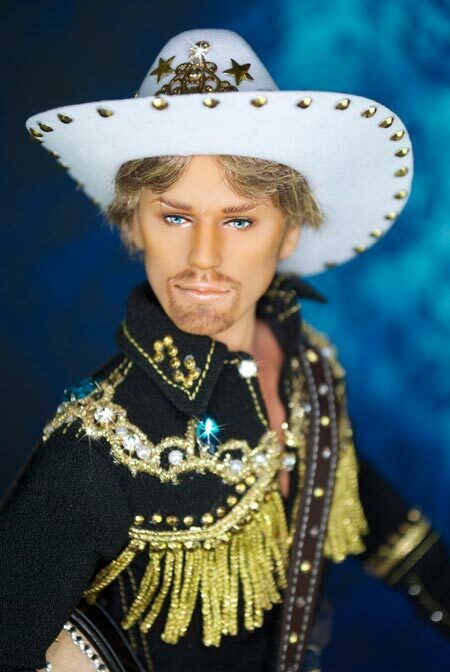 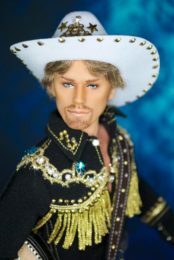 Donated to the 2014 Barbie National Convention in Nashville, and bidded at the Silent Auction for $3201,00.